“Sketchnoting” is a popular new form of communication that summarizes presentations in picture form. It’s been a hit for years at the SXSW festival, and its creator, Mike Rohde, shows how anyone can do it in The Sketchnote Handbook. 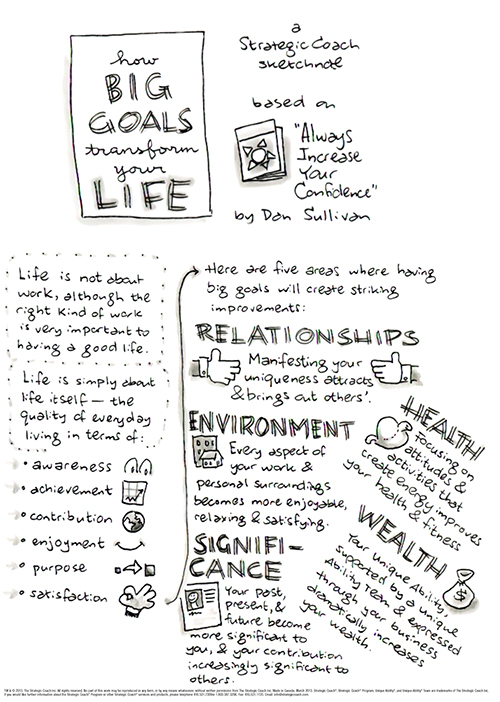 Here, our writer/illustrator Hamish MacDonald uses sketchnoting to highlight some of Dan’s ideas about goals and how they transform your life.